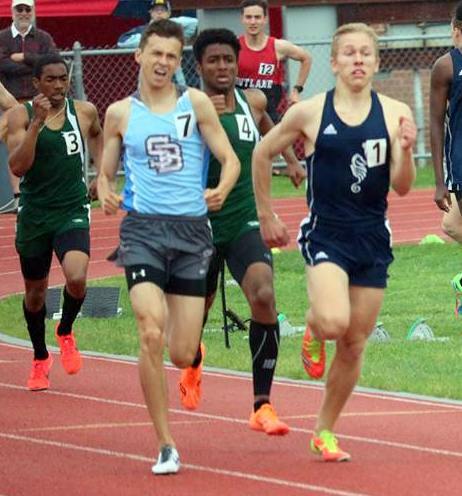 Three Bermuda athletes represented St Johnsbury Academy Track & Field during the Essex Invitational which is a New England Qualifier. Sajan Harvey, Malik Joell and Zekiah Lewis all had strong performances. In the Men’s Varsity 800 Meters, Harvey clocked a Personal Best time of 2:00.08 to finish 3rd, while Joell finished 7th stopping the clock in 2:02.32. Harvey would lead off and Joell would run the anchor leg for the St Johnsbury Men’s Varsity 4x400 Relay team that finished 2nd in a time of 3:36.46. The pair ran in the same positions helping the St Johnsbury Men’s Varsity 4x800 Relay that also finished 2nd with a time of 8:11.90. Lewis would finish 7th competing in the Women’s Varsity 100 Meters stopping the clock in 13.47, Lewis would lead off the St Johnsbury Academy Women’s Varsity 4x100 Relay team who finished 5th with a time of 53.16. Lewis won the Women’s Varsity Long Jump with a top leap of 4.87m.